For your new registration we would like you to bring to the surgery proof of identification, which should be in the form of a passport or driving licence and a current utility bill or a tenancy agreement with proof of your address. We also your require your NHS number. If you have your old medical card with your nhs no. on would also be a great help. On arrival at the surgery you will be asked to fill out a registration form with as much detail as possible, this will enable us to request your medical records from your previous surgery. On completion of your registration form the receptionist will make you a registration appointment to meet your new doctor. If you need to see a doctor before your registration appointment this can be arranged. All patients registered at Seaside Medical Centre are allocated a named GP when they register with the Practice; patients are informed at the time of registration and a registration appointment is made with that GP within a 3 week period. 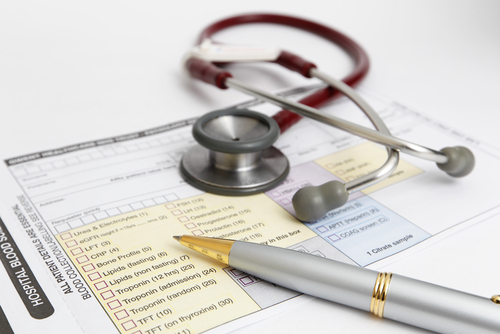 The practice makes reasonable efforts to accommodate a request for a particular GP if there is a preference. The named GP is responsible for the patients' overall care at the Practice. Should you not be aware who your named GP is, please contact the Practice by phone or in person and our reception team will be happy to help you. Seaside Medical Centre has a policy in place that restricts patients moving from their allocated GP to another GP within the Practice. This policy does not restrict patients from requesting to see any practitioner for their appointment but the allocated GP remains responsible for all telephone calls and all correspondance concerning their patient. In July 2012 the PCSS ceased the routine of issuing medical cards to patients when they register at a new GP practice. If you should require a medical card please ring the PCSS on 01903 756800 or alternatively www.pcss.nhs.uk/MedicalCard.aspx. You may print off a registration form, fill it out and bring it in with you on your first visit to the practice along with the two forms of identification. arrange to bring these with you. visit after morning surgery has finished. To register temporarily you will need to contact the surgery or come in and will be asked to fill out a temporary resident form and the receptionist will offer you an appointment to see a doctor. If you are going to be in the area for more than three months you will be advised to register fully with a gp. If you are already registered with a gp in the area but need to see a doctor urgently and cannot get to your own surgery you can be seen once as an immediate necessary treatment patient and a temporary resident form will need to be filled in.